Impeccably maintained semi-custom Rock Creek home with unobstructed views of the front range from every level. Premium lot backs to a portion of the 600-acre Open Space & 2 of 4 community parks, plus access to 27 miles of trails, 2 pools, 12 playgrounds & top-rated schools. 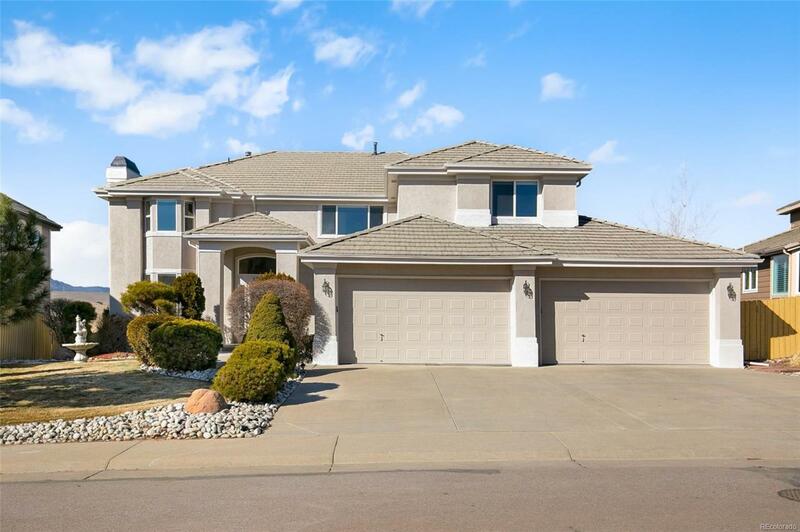 Upgraded features include a sweeping circular staircase showcasing the dramatic entry & soaring ceilings, 4-Car Garage w/new concrete, new professional exterior paint w/transferable warranty, some new windows, 2 fireplaces, & gleaming true hardwood floors on the main level. Options for entertaining & relaxing include the new spacious patio off the full Walk-Out Basement and Trex deck accessed from the main living area, & new sidewalk all lead to the beautiful professionally landscaped yards. Upper level offers an exceptional Master Suite w/ private sitting area, 5-piece bath w/jetted tub, his & her closets, 3 additional bedrooms & 2 baths, plus versatile loft. Near Flatiron/Superior shopping. Exceptional!